FORE is one of the UK's leading retail consultant, providing news category management and field marketing services for a diverse range of clients, providing category management services to over 8,000 retail outlets. 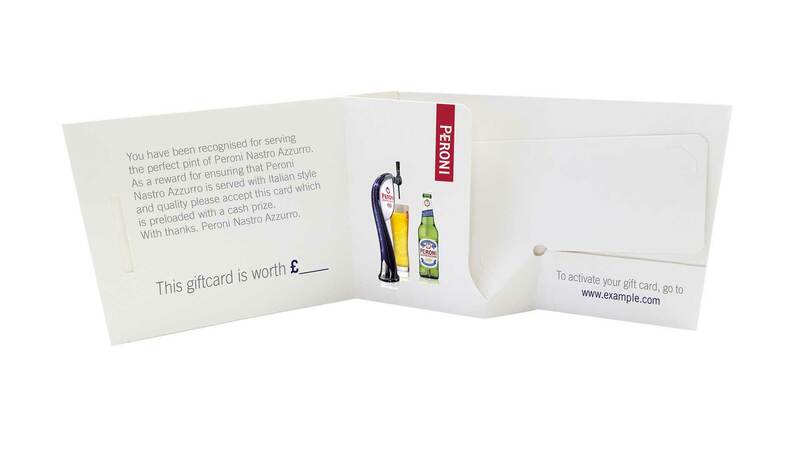 Livewire is the sole UK licensee for the award-winning ”Ejector” pop up packaging concept for gift cards, developed and patented by Swedish design company JakeBox. 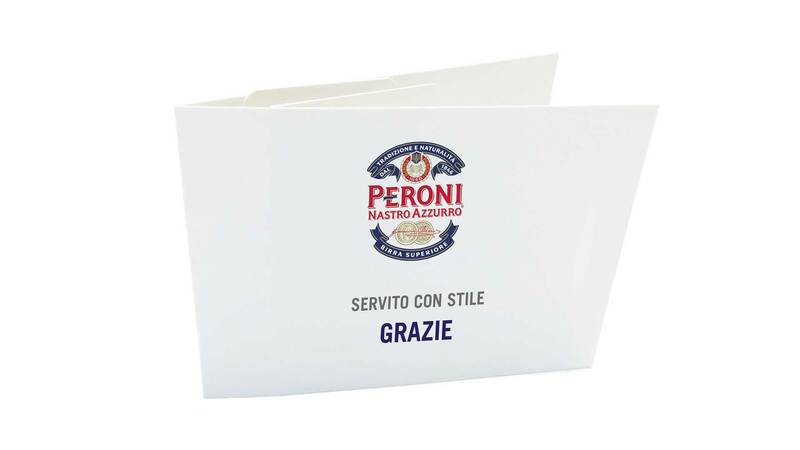 FORE approached Livewire for a staff reward card packaging solution for their client Peroni. The Ejector pack fit the brief perfectly. The most significant and eye-catching feature of the Ejector is the patented folded mechanism that, as the pack is opens, swings the card out from a hidden position inside the package. The concept has an extraordinary track record for boosting gift card sales and revenue. The month after Swedish telecom provider Telia introduced the package, their gift card sales increased by a massive 2,373% and at IKEA’s German webshop, one Ejector is sold with every third gift card.